Within Walking Distance, Major Landmarks, Top Things To Dee and Do. 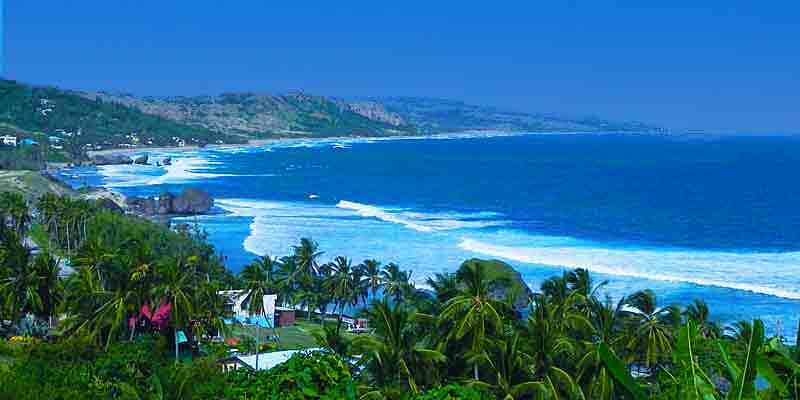 Barbados and its cruise port close by Bridgetown - the capital of the Island state - is one of the most interesting and memorable destinations in the Eastern Caribbean itineraries. The rich history and cultural past of the island is preserved in an exotic but harmonious mix of quaint tropical ambiance, lush landscapes, beautiful landmarks and stunning beaches. It should be underlined that Historic Bridgetown and its Garrison is a UNESCO World Heritage Site since 2011. 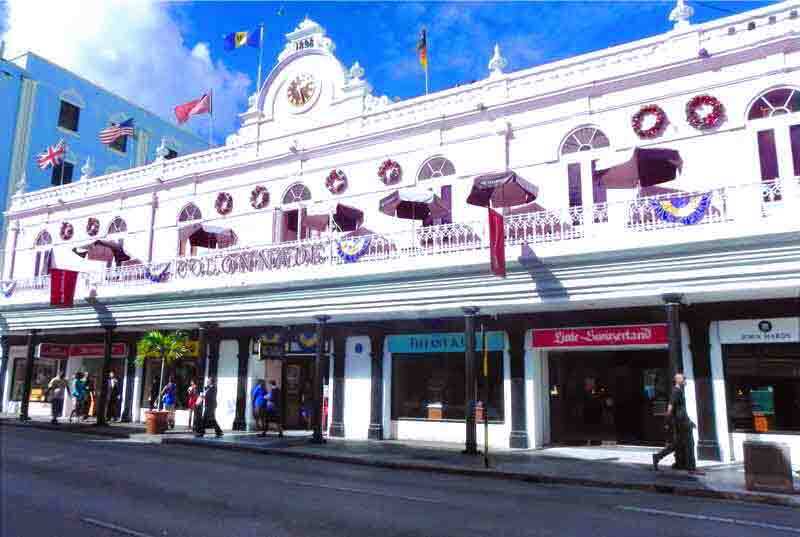 Because Barbados is a relatively small island - 21 miles (34 km) long and no more than 14 miles (23 km) wide - all attractions are close to the port, allowing the cruise traveler to enjoy a leisurely day at a laid back pace: be it perusing impeccably preserved historic landmarks (like the Parliament Building and Museum, a couple of churches, or the Synagogue and its Museum); contemplating unique sceneries in places like Bathsheba or the Gun Hill Signal Station; revel in fun and active pursuits; or just basking in the sun in one of many and delightful beaches. 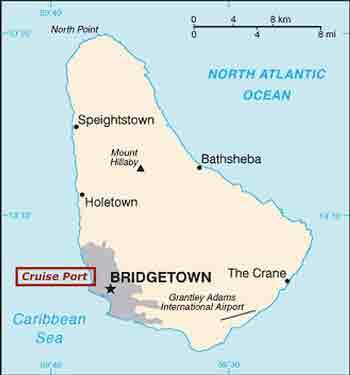 The Cruise Port aka Deep Water Harbor is located on the South-Western side of the Island and, although not exactly right by the center of Bridgetown, it is within walking distance - 1 mile (or 1.700 meters) - to the main streets of the city. Most luxury cruise lines (like Regent or Crystal) offer complimentary shuttle buses. 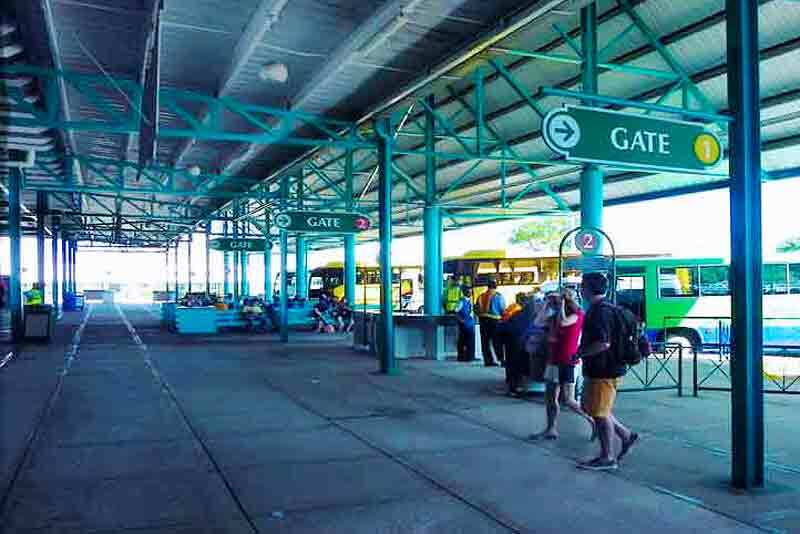 If your cruise line doesn't offer a shuttle bus, there is also a paid bus - US $2.00 per person, each way - right outside the terminal. Taxis are also available but it doesn't make much sense to pay extra unless you really need to. 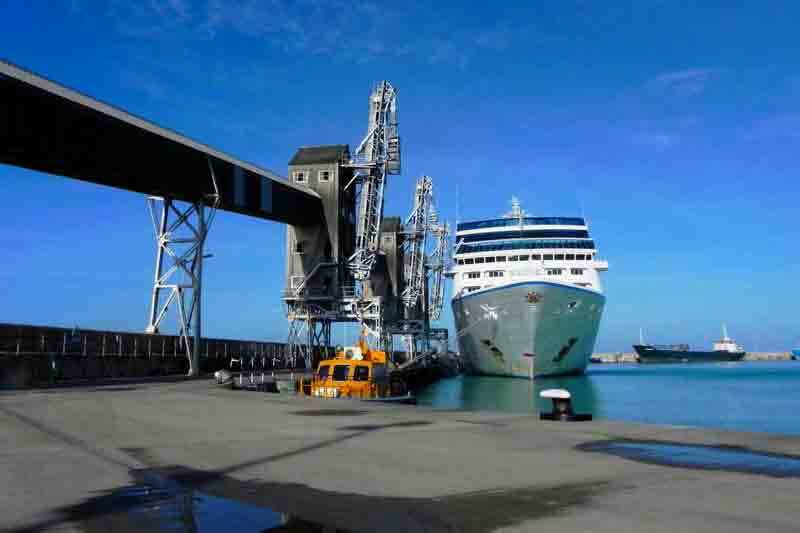 The cruise terminal is one of the best in the Caribbean with all services and amenities the cruise traveler may require. 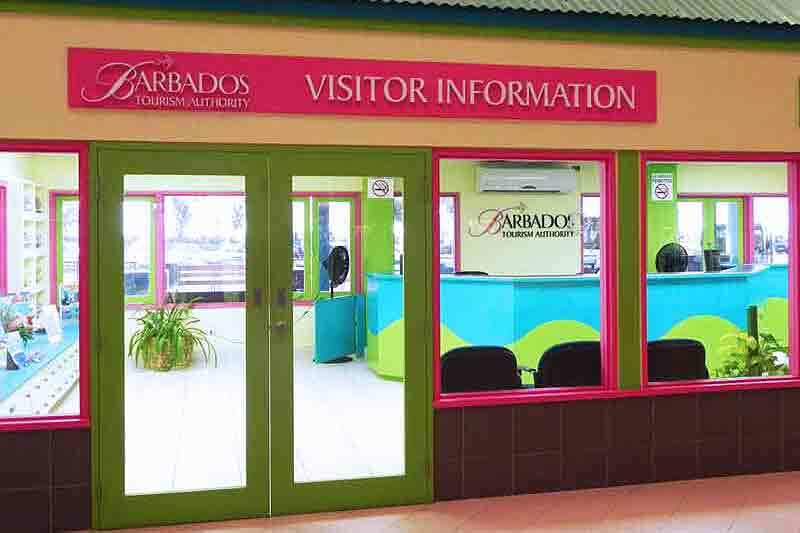 On a large building, you will find an excellent Visitor Information Center, an area with Free mobile-friendly Wi-Fi, restrooms, souvenir and duty-free shops (both jewelry and liquor) and, last but not least, a post office where you can buy Barbadian Postal Stamps known for their exquisite designs. 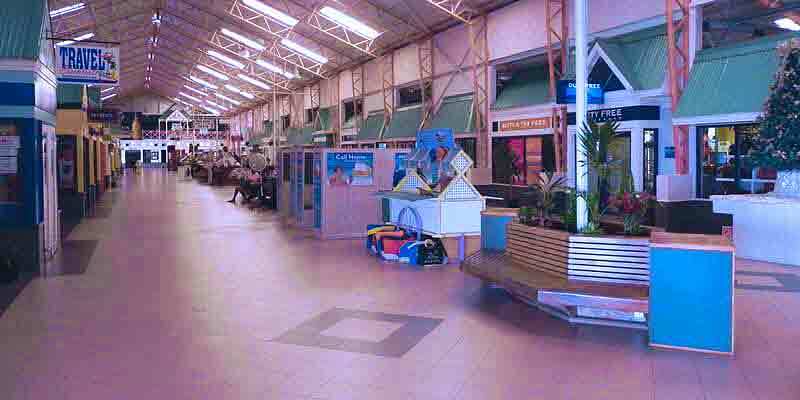 Outside the Terminal, there is a dedicated shaded area for tour buses (on the left side), a few more souvenir and clothing shops (t-shirts, beach attire), and local transportation services such as Car Rental, Scooters, and ATV - be aware that driving in Barbados is on the left as expected on a former British Colony. There are also a couple of open-air bars where you can savor typical Bajan cuisine or the famously refreshing Banks (the local beer). Taxi services are available at the covered dispatch center and although official fares are displayed, make sure to always confirm rates and currency - US dollars are widely accepted. 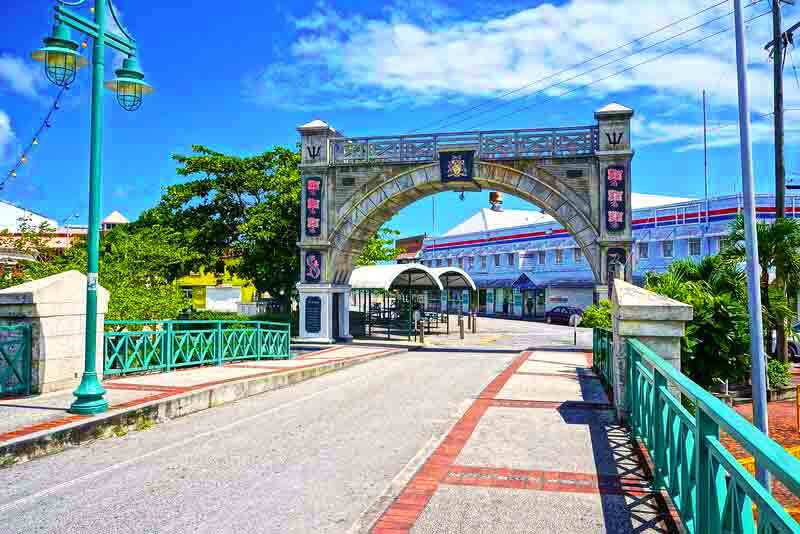 For those that enjoy walking, the path from the exit of the Cruise Terminal along the ocean up to the historical downtown and the Careenage (an interesting area of Bridgetown) is both safe and pleasurable. Have in mind that it will be hot and you should wear cool clothing, walking shoes, a hat, and sunscreen is never frivolous. The wide avenue outside the exit gates of the cruise port is the Princess Alice Highway. On the right side, by the ocean, the path is lined with trees and along the way, there are a few places with benches and tables to have a rest. On the left side there are a few places worth a look: the Rolli's Bar and Grill, the Caribbean Cigar Company selling the Royal Barbados brand and the Pelican Village Craft Center. Once you pass the Bridgetown Fish Market (on the right) you would have walked already 1/2 mile (800 meters). Around 300 feet (100 meters) more and you will have the alternative to keep walking straight into Hincks Street or turn left into Cumberland Street. 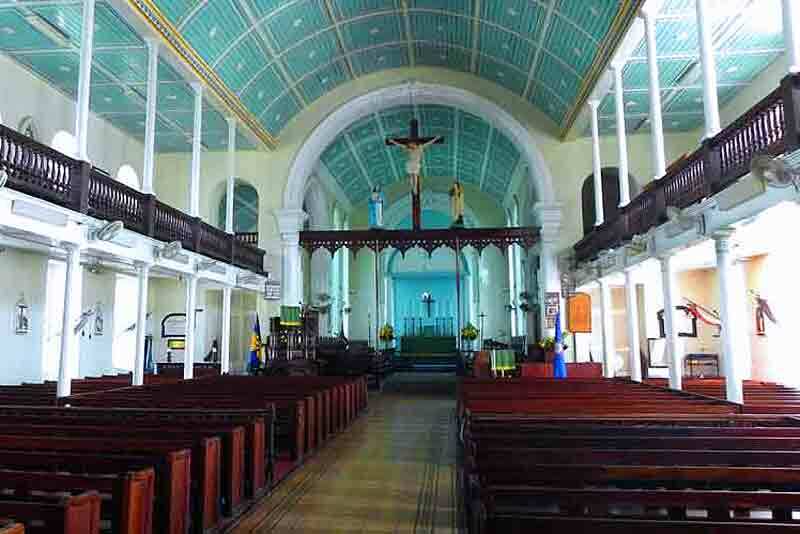 The latter will take you to Jubilee Gardens and St. Mary's Church (a major Anglican church in Bridgetown) which is a stone's throw away from the shopping area of downtown (Broad Street and around). The walk into Hinks Street leads to Wharf Road, a Boardwalk and the Careenage. Along the way, at the Cloister Building, on the left, the Agapey Chocolate Factory is a place to visit if you have a sweet tooth and even consider a tour (1 hour for US$20). After a right followed by a left turn, you will find yourself on Wharf Road with its boardwalk and it becomes clear that you are in historical surroundings. This is the place where, once upon a time, ships were careened onto a side to be repaired, scrubbed and painted, hence the Careenage eponymous. Now, on the narrow mouth of the Constitution River, sleek yachts, touristic and fishing expeditions boats dock on both banks. Farther along, the Wharf Road borders the National Heroes Square with a statue of Lord Nelson and the imposing Parliament Building which are impossible to miss. The pedestrian Chamberlain Bridge crosses the river to the south bank. At the end of the bridge, the Independence Arch is a famous landmark and a great photo op. Immediately after, on the left, is the seafront greenery of Interior St. Mary's Church and on the right there are a few nice places on the south bank to have a quick bite, lunch or a refreshment; two are particularly popular: Marina Bar & Restaurant on Bridge House or the Waterfront Café. Photo by Pgbk1987 CC by SA. For those interested in all things historical, you should return to the National Heroes Square to visit the Parliament Building, St. Michaels Cathedral (built in 1784) and the Nidhe Israel Museum and Synagogue (an absolute must see regardless of your faith or absence of). If shopping is on your plans, turn left on Heroes Square into Board Street as this is where the best duty-free shops and departments stores are found. 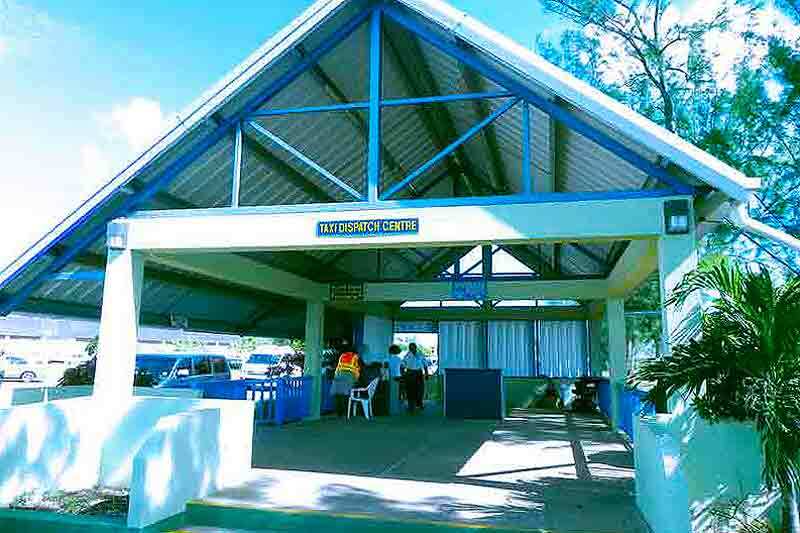 It took a few calls at Bridgetown Cruise Port for the Editor to realized that the Careenage is very close to the famous Boatyard Beach Bar and Club - less than 1/4 of a mile (400 meters) south of the Independence Arch. In fact, the Carlisle Bay's northern tip is the mouth of the Constitutional River, and on the bay, the Boatyard is just one of the many clubs and bars that line the sugar white sands and turquoise waters of Barbados spectacular beaches of this Bay and where the best snorkeling sites in Barbados are located. However, be aware that Carlisle Bay is close to two miles long. Editors' Tip: if the Boatyard or any of the beach clubs on Carlisle Bay are on your to do list, it is advisable to get there (or back) by taxi as the walk from the cruise port is over 2 miles (3 km). 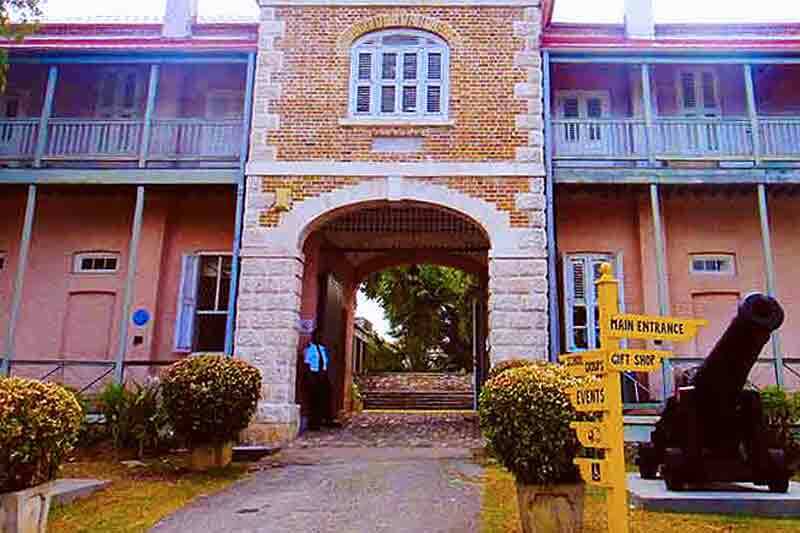 Besides the already mentioned landmarks and attractions in Bridgetown at walking distance or close by on a taxi (easy and affordable) there are many other sites in Barbados to explore that will require a tour, an excursion aka Shorex either booked onboard your cruise ship or with independent operators. Some of these tours can only be booked online but some can be arranged with Local Tout Guides, or on your own with a taxi at the pier. 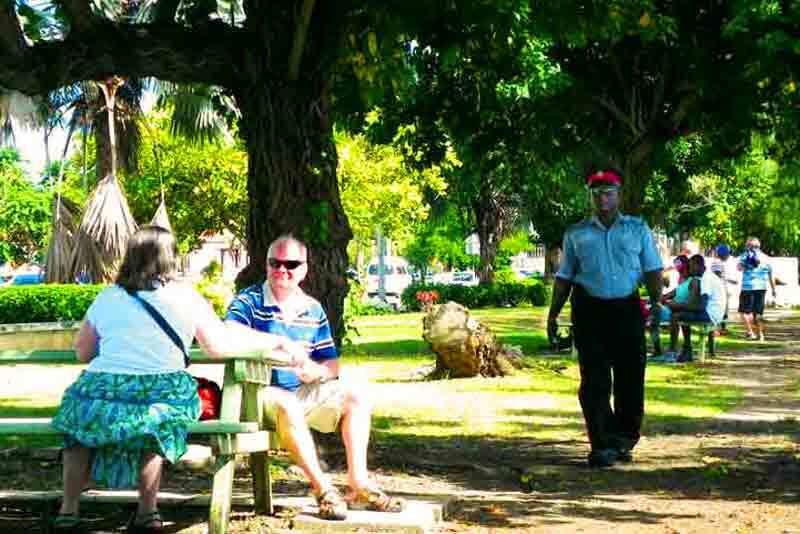 Before deciding to book a tour, stay close to the port and explore Bridgetown or any other attraction nearby, the cruise traveler should consider a visit to top Attractions in Barbados such as the Mount Gay Rum Refinery, the Harrison's Cave, the St. Nicholas Abbey, the Andromeda Botanic Gardens, the Barbados Wildlife Reserve or the Barbados Museum and Historical Society among many other. 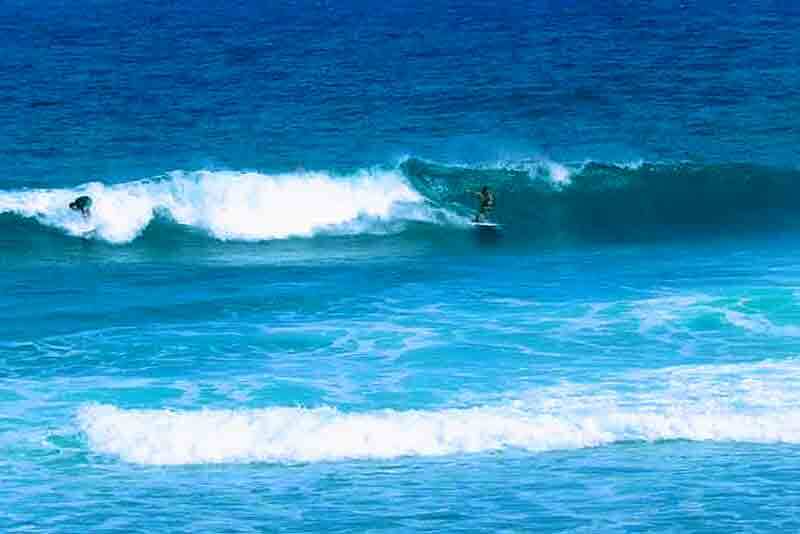 Besides historical landmarks and exotic nature, Barbados is one of the few islands in the Caribbean where surfing is a unique experience, in particular on the spectacular scenery of Bathsheba Beach. 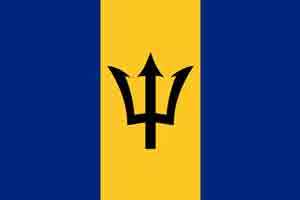 Bridgetown and Barbados are on Atlantic Standard Time (AST) - 4 hours behind Coordinated Universal Time (UTC). This time zone is often called Atlantic Time Zone. AST in Barbados doesn't use daylight saving time/summer time: there are no Daylight Saving Time clock changes. Currency: The Barbadian Dollar is the legal tender but US Dollars are widely accepted and the cruise traveler doesn't really need to exchange money. Accepted in Duty Free Shops and Top Restaurants. Perfectly acceptable and expected on craft markets, souvenir and duty-free shops. Taxis are not metered and official rates do not exist: cruise traveler MUST agree (haggle) a price before accepting service. December 26 - Boxing Day - if Christmas day falls on a Sunday both 26th and 27th are Holidays. There are a few pharmacies in Bridgetown. Massy Stores Pharmacy is centrally located on the Cave Shepherd Department Store on Broad Street; and so close by is the iMart Pharmacy Express on the Bridge Street Mall. The Queen Elisabeth Hospital in Bridgetown is a very well equipped and highly praised hospital. The natural beauty of St Martin starts at Cruise Terminal, transportation to all top attractions is around the corner and affordable. 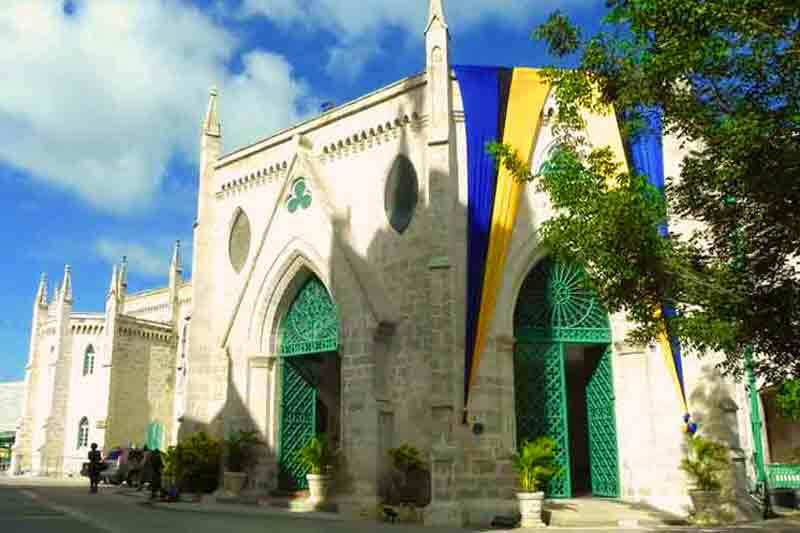 It is advisable to confirm details with local tourist information before planning your tour of Bridgetown and Barbados.